THE PLOT: The book starts with the arrangement of the marriage of Henry VI to Margaret of Anjou, which includes the return of French territories Anjou and Maine to France. Surprisingly, Englishmen living in those areas aren’t wild about giving up their homes to the French, so lots of fighting ensues. In the meantime, Henry VI is mentally incapable of running a kingdom. The book only covers up until the Duke of York becomes protectorate, so this is all really preliminary setup for the actual Wars of the Roses. BOTTOM LINE: Some of the scenes were a little too brutal for my taste, but overall, I found it an antidote to some of the other more romantic books. 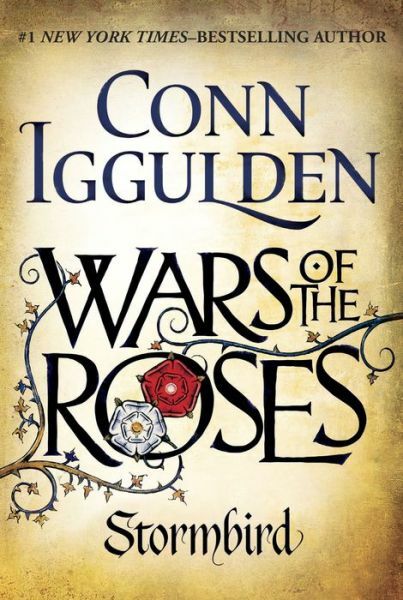 If you like fictionalized accounts of historical battles, you will probably enjoy this book. The next book in the series is titled “Trinity,” and I definitely have it on my “to read” list. ON SALE DATE: This book will be available in the US in hardcover and eformats on July 8, 2014. I believe it went on sale earlier in other markets, such as the UK. Note: Review is based on an ARC provided by the publisher via the Amazon Vine program in exchange for an honest review.